When Naomi Stroock’s family decided to move from Kew Gardens, Queens, in search of a bigger house, they came to visit one of Stroock’s childhood friends, Efrona Hagler, for Shabbos. What they found in the Elizabeth/Hillside community was a wonderfully cohesive community with a warm and inviting atmosphere, and the rest in history. Stroock is not the only one who recognizes Elizabeth as a premier Jewish neighborhood. In 1968, the Israeli government awarded the community a medal and pronounced it a model Jewish community. Most residents consider the North Elizabeth/Hillside and Elmora neighborhoods as one inclusive community known as Elizabeth. One eruv encompasses both areas, which are adjacent to each other. Although Elizabeth was founded in 1664 by English settlers, it was in 1881 when a Jewish community first began taking root there. When the eminent Rav Pinchas Mordechai Teitz accepted the rabbinate in 1935, he revitalized the community and made it into the vibrant center for Jewish life that it is today. His son, Rav Elazar Mayer Teitz, is the current dean of the local Jewish school system under the banner the Jewish Educational Center, or as it is more popularly known, the JEC. He also serves the spiritual leader of the city, functioning as a quasi-chief rabbi of the community, much like his father did (although no one refers to them by that title). The rabbinic dynasty extends to a third generation with Rabbi Eliyahu Teitz, who was the assistant rabbi of the neighborhood for 15 years while simultaneously working in the administration of the JEC school. After he stepped down from the rabbinate three years ago, he has worked full-time as the associate dean of the JEC. In addition, he is now also the acting assistant principal in the elementary division. There are five shuls united under the same rabbinate: JEC Elmora, JEC Adath Israel, Adas Yeshurun, Beis Yitzchak Chevrah T’hillim, and the the Elmora Hills Minyan. Six years ago, Rabbi Teitz realized that the community of Elizabeth/Hillside was simply too much for one person to handle. So he decided to hire full-time ravs for the shuls. 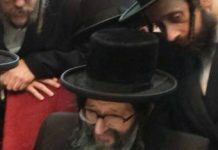 Deciding it was in the best interest of the shuls, as well as the community, he oversaw the hirings of full-time rabbis for some of the shuls. Five years ago, Adath Israel hired a new rabbi, and the JEC Elmora followed suit a year a later. “People accept and respect each other despite their personal differences,” says Rabbi Herman of Elizabeth. “There is a real sense of community here.” Rabbi Herman lists the numerous shiurim, active sisterhood and great youth department as big draws of the shul. The rabbi of Adath Israel is Rabbi Jonathan Schwartz, a charismatic rav who is credited with attracting many new families to the area. Since most families who were moving to the area had come with children, the shul has grown at an incredible rate. Aside from the flourishing shuls and the JEC school system, the area is rife with other sights of Jewish life: Elizabeth is home to the first kosher Dunkin Donuts in New Jersey. There are kosher restaurants and a fully stocked supermarket called One Stop Kosher Supermarket, which has a full-service food market with a deli, bakery and frozen foods. It also prepares traditional restaurant items, such as burgers, fried chicken and sushi. (Savvy shoppers will also recognize Elizabeth as the home of the Jersey Gardens Mall, the state’s largest mall, as well as to a variety of retail shopping where there is only a three and a half percent sales tax, making Elizabeth an attractive shopping destination.) Like larger communities, there is a choice and variety of Jewish resources, yet the small size of Elizabeth, with its quiet tree-lined streets and actual backyards, symbolize its small-town charm. Elizabeth is a place where the monthly shul newsletter heartily welcomes new members of the community, and where new families can expect to find themselves invited out for Shabbos meals almost as soon as they settle in. 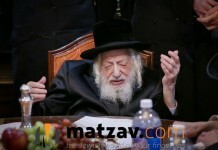 “One person even voluntarily returns every year, since he calls AI his home away from home – in Efrat,” remarks Strashun. Another shul member hosts a dairy lunch on Shavuot in her sprawling backyard, where all attendees contribute a food item and are treated to a d’var Torah by one of the college students. “The school system here is renowned for its excellence,” says Stroock. The JEC has three divisions: the Yeshiva of Elizabeth, the Rav Teitz Mesivta Academy (RTMA), and Bruriah High School for Girls. Bruriah is an immensely popular and extremely well regarded girls’ high school. Not only do 100 percent of graduates continue on to higher education, but an amazing 90 percent spend the year after high school studying in Israel, exemplifying the love of Israel that the curriculum instills in its students. The establishment of the JEC made Elizabeth one of the first American cities to offer a comprehensive Jewish and secular education. Michael Poppers is another proud and active member of the Jewish community, as well as an ardent admirer of Rav Teitz. He is a member of the chevrah kadisha and the secretary of the JEC Elmora board of trustees. “The community is one that welcomes Jews of all backgrounds to an environment firmly based on Torah, avodah and gemillus chasadim,” says Poppers, who lives in Elizabeth with his wife, Leah, and their three children. He is a great talmid chochom, Mentch,Heart of gold and acts the way a Yid is supposed to. If all communities would have his Derech Hayoshor, there would be Achdus the way Yahadus was meant to be. While no doubt the community of Elizabeth is blessed by the all of the things mentioned in the article, I am a bit shocked that the author leaves out one of the most important and wonderful parts of this city: The Yeshiva and Kollel Be’er Yitzchok of Elizabeth. Those that established this Makom Torah did so with the intention to not only preserve Torah, but to anchor the community to the Torah and its scholars in the truest form. The dedication to the community members can be felt by so many of them, and the lasting impact of this institution cannot be measured. The most appealing and amazing thing is that they are united under one Rav, a community that does not compete for whose Rav is more Chashuv. Very impressive. Especially in response to comment#2: this “The Jewish Press” article is over _two years old_ (URL is http://www.jewishpress.com/content.cfm?contentid=26330&sContentid=1 , and be sure to read both comments :)), so its author may be forgiven for not noting what was then a very-new (approximately a year old, if I recall correctly) Yeshivas Be’er Yitzchok. A guten Shabbes and Chanukah and all the best from Michael P.
Don’t forget the wonderful Minyan Sepharadim and the Yeshiva/Kollel program. There’s something for everyone here! Yeshivas Be’er Yitzchok is at least 8 years old. I think closer to 10. I am married 7 1/2 years and my husband was learning there when we got engaged. We were also part of the kollel for one year about four years ago and were very much a part of the community. I think #1 said it beautifully and truthfully. I will add that Rabbi Teitz is a big enough talmid chochom that he tolerates those who may disagree with him leshem shamayim. He is one of the few. As a proud member of this united kehilla, you are all correct. Rav Teitz is a terrific Mara D’Asra, the Rabbonim (all of them to a t) are accessible, respectful, generous and true mentchin, the community (and the Kollel which DOES play a role) is a fine place too. One catch — this is an old article and does not even begin to tell the changes in town even in the last 3 years. Things only get stronger and more is yet to come….